One of the greatest downward trends that people who suffer with morbid obesity often face is their inability to leave their own home. As a person’s mobility decreases, they often gain weight and this further promotes a downward trend for people who suffer with morbid obesity, because they further gain weight, increase depression and therefore often eat more and become further immobile. One of the easiest solutions to increase the mobility of a person with morbid obesity is to utilise a wheelchair and ensure that they get out of their home as often as possible. Studies have shown that for every week that a person with morbid obesity is no longer able to leave their own home, the greater risk that they have towards their health. This includes higher incidences of DVTs (deep vein thrombosis), increased obesity, bed sores, increased depression and a general feeling that they have ‘lost’ their battle with obesity. If a person can leave their house, even just for a short period each day, they are along way towards health improvements. 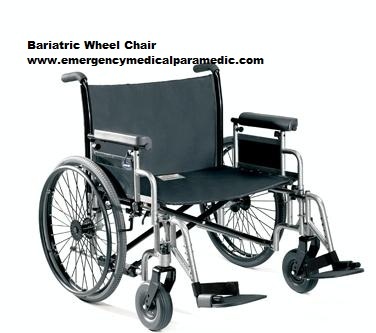 Bariatric wheelchairs can be expensive, however, the health benefits of improving a person mobility and ability to leave their own home outways all costs associated with purchasing a bariatric wheelchair. How Much Does a Bariatric Wheelchair Cost? The Cost of a bariatric wheelchair differs depending on location and general weight requirements. Furthermore, if you would like the wheelchair to be electric or not. The cost of a bariatric wheelchair can vary between $400 Australian to $8000 Australian depending on the size and weight requirements and if you would like it to be automated (electric). Bariatric Mobility Scooters can cost between $3000 and $10 000. Depending on the country and the weight requirements. Bariatric wheelchairs can be purchased here on-line or through most of your good local Medical Equipment Stores.